‘Curious’ is a series of five kiln cast glass figurines bearing animal heads that explore the idea of possessing an alter-ego. The elegant lady figurine is representative of normal existence but she has become warped taking on the persona of an animal. 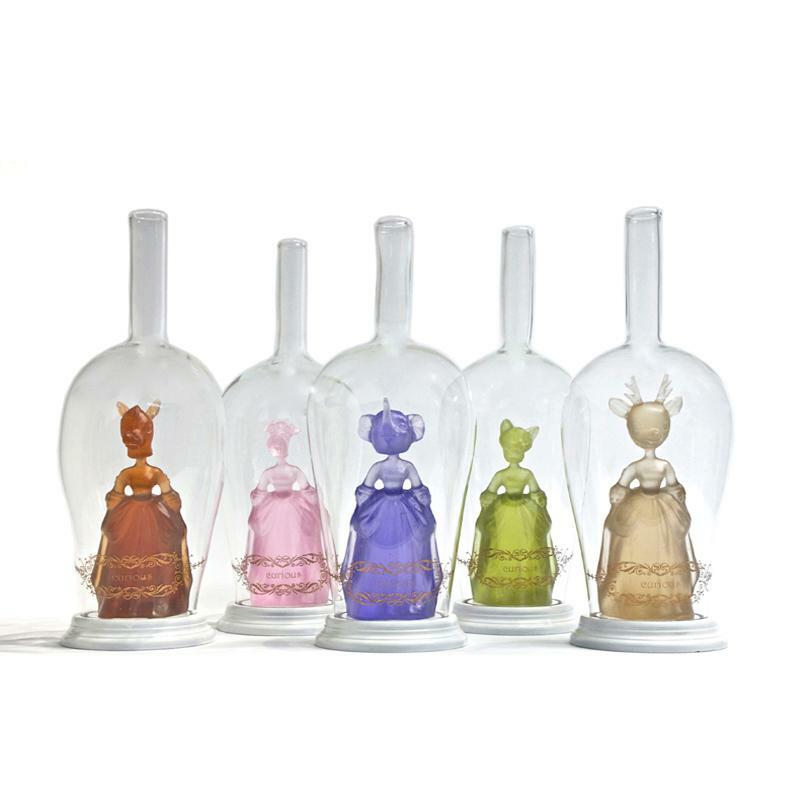 The figurines are enclosed inside a blown bottle form to convey to the audience that the ‘strange figure’ is imprisoned until some curious person drinks the potion to bring the ‘ego’ to life.